CJP's campus initiative builds on the success of Birthright by providing support and inspiration to students before and after their trip. CJP launched IACT (Inspired, Active, Committed, Transformed) in 2007, eventually expanding to 30 campuses thanks to the generosity of the Edward Fein Foundation. Students return from transformative Birthright experiences, but too often however, their journey ends when they come home. With CJP’s help, Birthright alums engage in an active Jewish life and advocate for Israel on campus. The IACT initiative helps hundreds of students energize Jewish life on campus when they return from Birthright Israel trips each semester. Our campus model targets students who might otherwise never consider a trip to Israel. Of this year’s cohort, 63% were underclassmen, and 71% identified themselves as marginally affiliated or unaffiliated with their Jewish community before their trip. IACT’s holistic and systematic approach begins with a well-trained and highly focused IACT Coordinator. Placed at each campus’s Hillel and provided with ongoing mentorship, the IACT Coordinator carefully tracks each student’s Jewish journey and helps Birthright Israel alumni translate the energy from their trip into programs on campus. We seek to engage at least 80% of our Birthright Israel alumni in meaningful Jewish activities that may include Jewish learning, community service, or Israel advocacy. The IACT model has options for every stage of a student’s college career. 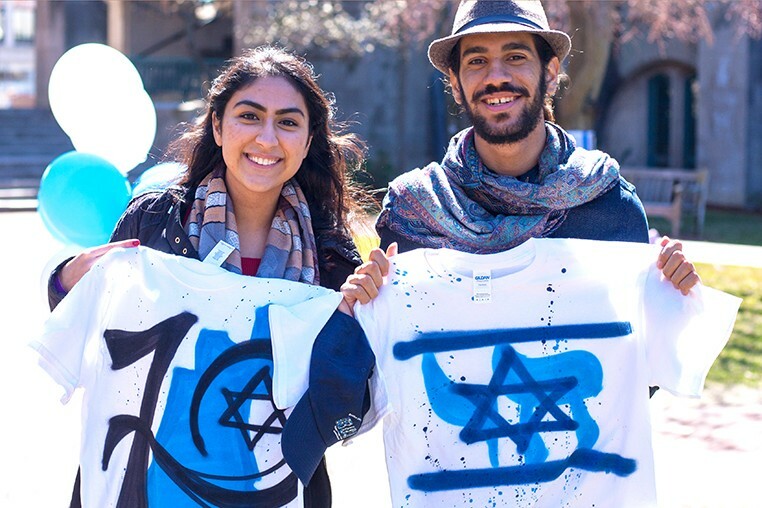 On campus, IACT leads trainings, offers Jewish learning, and organizes community-wide service projects for students. This year, through events, trainings, and trips, a cohort of more than 2,561 students were recognized as Israel Action Ambassadors. We also offer a wide range of opportunity for second experiences in Israel. Supported by the Lavine Family Leadership and Service Learning Fund, CJP’s Onward Israel summer internship cohort remains the largest in the country: 500 of our IACT alumni have completed these summer internships. Dozens more return to the Jewish State each year to study abroad or to participate in other internship programs. To learn more, please review Transforming Campus Life, the latest overview of IACT’s progress on campus. Inside, you will learn about some of our accomplishments within three core programmatic pillars: Jewish learning, service, and Israel engagement. You will also meet some of the students and IACT Coordinators who bring IACT to life on campus each day. To learn more, get involved or bring IACT to your campus contact Cheryl Aronson, VP Israel and Overseas at cheryla@cjp.org.